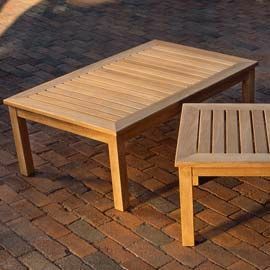 Our CLASSIC Coffee Tables are constructed with mitered corners and mortise and tenon joinery. These attractive tables come in two sizes: A 38" long and the slightly longer 45" version. Both assemble easily within minutes.